This Irish sweatshirt features double needle stitching throughout and is enhanced with ribbed cuffs and the waistband with spandex. 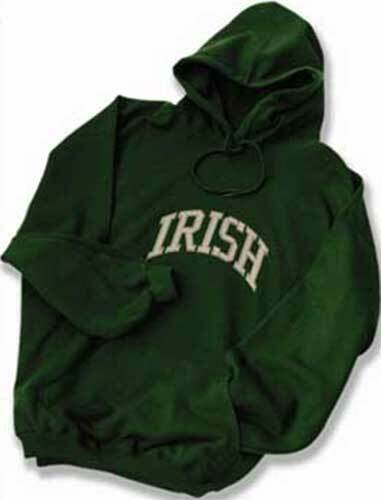 This Irish sweatshirt is a hoodie style that features an embroidered appliqué with varsity style lettering. The medium weight, 50% cotton and 50% polyester, Irish sweatshirt, in forest green, features a pouch pocket and a double lined hood. The unisex Irish hoodie is embroidered in the United States and is available at The Irish Gift House in sizes small through XXL.